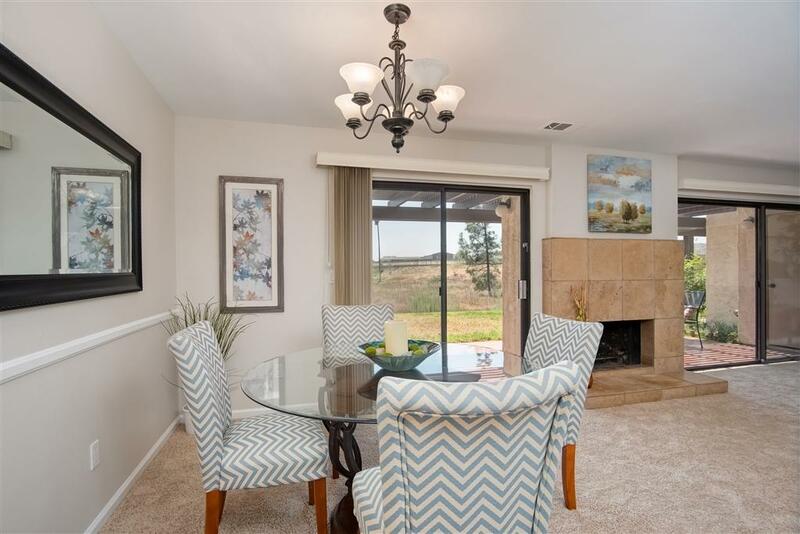 Beautiful home in the Villas community of Bonsall with privacy and VIEWS. You will feel like you are on vacation when you walk into this open flowing floorplan, with large living area, separate dining room all next to a cozy fireplace and bright kitchen with gorgeous granite counters, stainless appliances, refrigerator STAYS, and TWO sets of sliding doors leading to this private and tranquil setting**All baths have been upgraded with GRANITE, both bedrooms have en-suite bathrooms**SEE SUPPLEMENT** So many upgrades including freshly painted through-out, brand new carpet, vanities all have granite counters, beautiful tiled showers, decorative mirrors, ideal for 2 masters with en suite baths or guest room-the perfect setting. 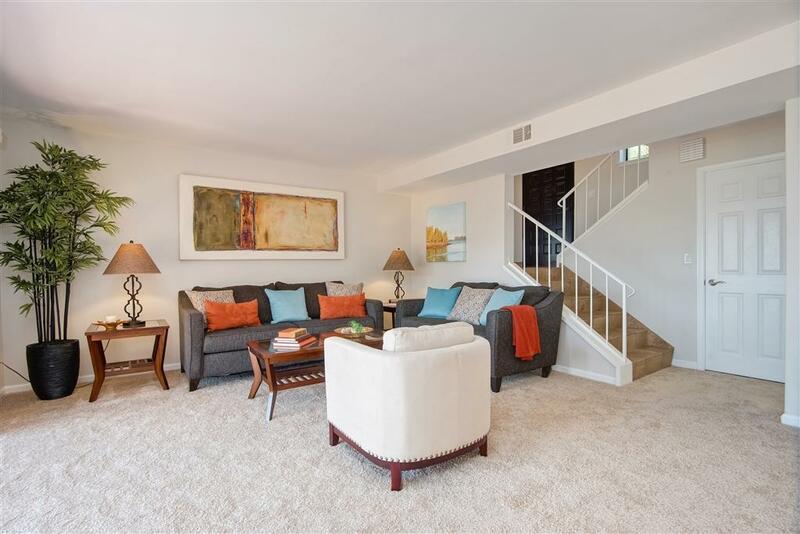 Nice size master with large walk-in closet, and even a balcony to relax with your morning coffee. Separate laundry room which is attached to over sized 2 car GARAGE. 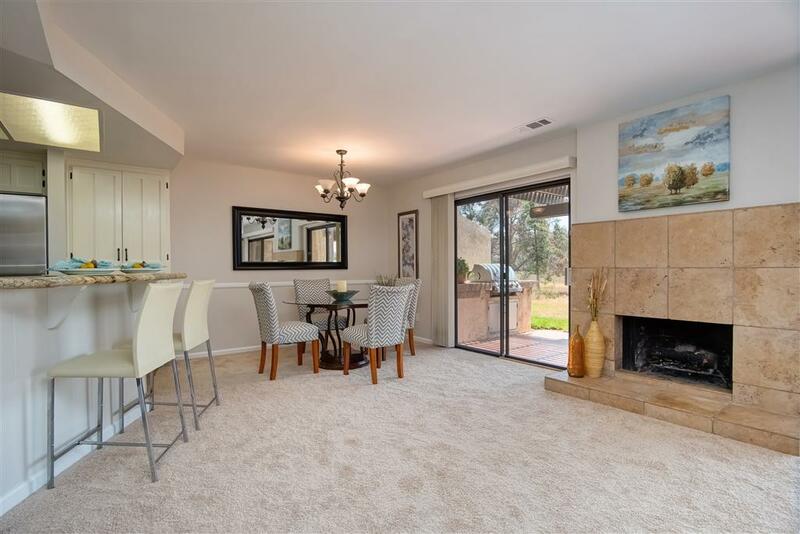 Open patio with tiled flooring and decorative tile artwork and built in BBQ. This great community has a community pool, spa, tennis courts, club house, walking trails. 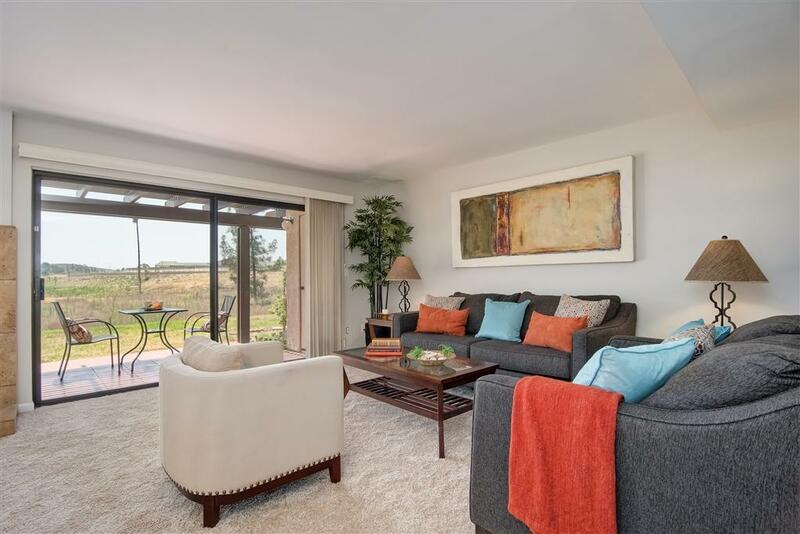 Close to restaurants, shops and 30 minutes to sandy beaches or wine country. Washer/dryer stays. (HOA covers exterior, roof, water, trash, pool, spa, tennis court and clubhouse)!